One of our goals in the Standby Task Force is to help our members develop skills for collecting and mapping data. For those of you who wish to learn how to create maps in ArcGIS, here is a free 4-week online course! 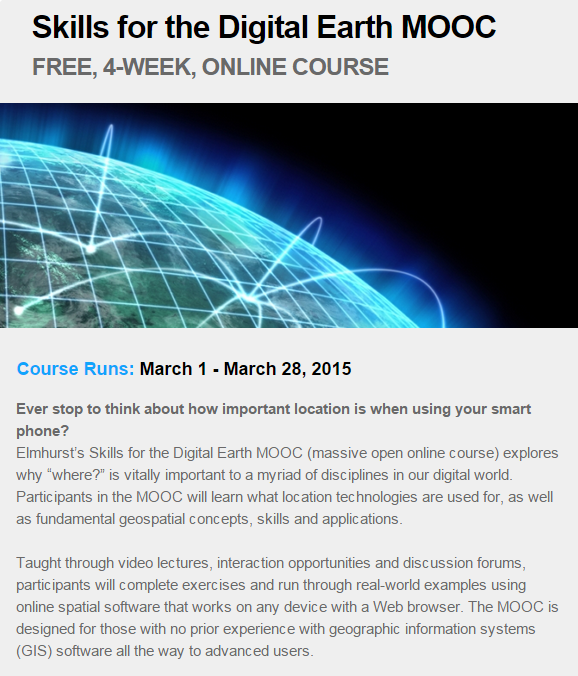 This free course was available last year and is being offered again. You will have access to ArcGIS to learn how to import data, add pop up windows, mark boundaries, create different types of digital maps and more.